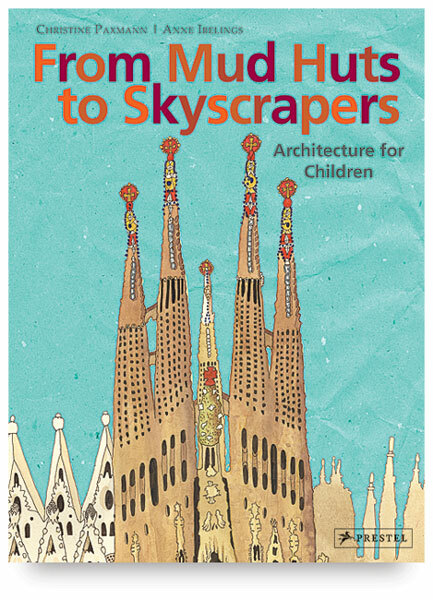 Filled with colorful architectural drawings and engaging texts, From Mud Huts to Skyscrapers is a great way to introduce young readers to the history of architecture. 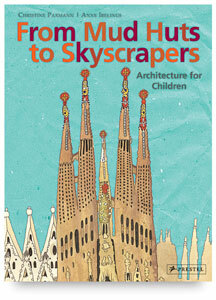 Children will be utterly absorbed by this journey through time, from the earliest mud huts to today's soaring towers. Chronologically arranged, this large-format book gives each iconic building its own double-page spread featuring an exquisite watercolor illustration and clearly written descriptions, facts, and features. These vibrantly detailed pages are filled with people, animals, and other objects that help bring the buildings to life. A detailed appendix includes a timeline, an extensive glossary, and a world map that points out where each building can be found. Children are sure to enjoy poring over this book — and come away with a fundamental understanding of how the built world has evolved over time as well as a knowledge of key architectural terms. Authors — Christine Paxmann and Anne Ibelings. Hardcover. 64 pages. 9½" × 12½" (24 cm × 31 cm).